Get a solid grounding in journalism practices before specialising if you wish to. Get published from day one in the mediaHUB, our bustling multimedia newsroom, home to BBC Newcastle in Sunderland. Graduate with an NCTJ Diploma and a portfolio of published work to impress prospective employers. This course gives you an understanding of the different types of Journalism, allowing you to explore and uncover your area of interest. You’ll have access to industry experts, placements, field trips and publishing opportunities that build your skills as a Journalist. Graduate with both an honours degree and the NCTJ Diploma in Journalism, the nationally recognised industry entry qualification, significantly boosting your employability as a journalist. Increase your practical experience by taking on reporting, editing and/or managerial roles on one our websites covering sport, news, entertainment and fashion. Get involved in award winning Spark Sunderland or Spark magazine, all based in our innovative mediaHUB, BBC Newcastle’s home in Sunderland and host to visiting Journalists from organisations such as Trinity Mirror (Newcastle Chronicle, Journal) and Johnston Press (Sunderland Echo). During the first year, we will introduce you to different types of journalism, give you an understanding of Media Law and online skills – it’s a great chance to see what kind of journalism suits you best. During the second and third years, you will study topics in more depth, you’ll experience our Newsroom in action and consider Multi-Platform News, and Media Ethics, and undertake a shorthand course free of charge. You'll also have optional modules in specific genres such as Magazine Writing, Sports Writing, Investigative Journalism, or Entertainments and Games Journalism. In your final year, you will go on a placement to a newspaper or online news organisation and you’ll also undertake a project, a large-scale piece of journalism which will add significantly to the portfolio of work you can present to prospective employers. Develop your writing style and learn how to communicate clearly and effectively. Optional modules are also available (across all three stages) such as Media Photography, Magazine Writing, Fashion Journalism, Public Relations, Sports Journalism, Social Media Practice, Broadcast Journalism, TV/Radio Production, Foreign Languages, Media Theory. Learn how to report power, how key organisations work and where to go to find the important stories. Work on gathering a variety of original work for your portfolio using a range of journalistic styles. Plan and produce a piece of independent work such as a magazine, a series of in-depth articles or a website. Shorthand Learn the system of rapid handwriting, a skill used by journalists to quickly transcribe the spoken word. This degree prepares you for a wide range of careers in newspapers, magazines, radio, TV, Public Relations and new media industries. It is also highly relevant to many positions in industry, commerce and the Civil Service, as well as to jobs in the arts and voluntary sectors. Recent journalism graduates from Sunderland have gained jobs with employers such as Sky, MTV, The Guardian, Racing Post, ITV, Elle, regional newspapers and PR companies. You have the opportunity to be actively involved in Spark Sunderland, the 24/7 Community Radio station based in the Media Centre. Spark has won many awards including four golds at the Student Radio Awards 2012, and holds the Nations and Regions Award for Best Radio Station in the North East. Students are responsible for all news-gathering, programme production and advertising. Other opportunities for real-world experience available on campus include Spark online magazine, the Fashion North website, the SR-News website, the Northern Lights website and SportsByte, which are all linked to our Journalism and Media courses. Be inspired by our academics and their strong industry contacts. Our experienced academics who have years of industry expertise at high levels in print, online and broadcasting including the BBC, Daily Mirror, Grazia, Private Eye and Sky. Broaden your horizons with inspiring trips – recently, students have enjoyed visits to London fashion master classes, press access to Wembley finals and Europa league games at FC Schalke 04 in Germany. You can undertake a work placement module during your course. Placements can be with newspapers, magazines, radio stations, TV and PR companies. All students studying on-campus undergraduate Journalism courses can take up a CV-enhancing work placement, a University-led industry initiative, or a professional and business development boot camp. By the term placement, we mean we are offering you a taste of the industry which might last anything from two days to four weeks on a part-time basis. 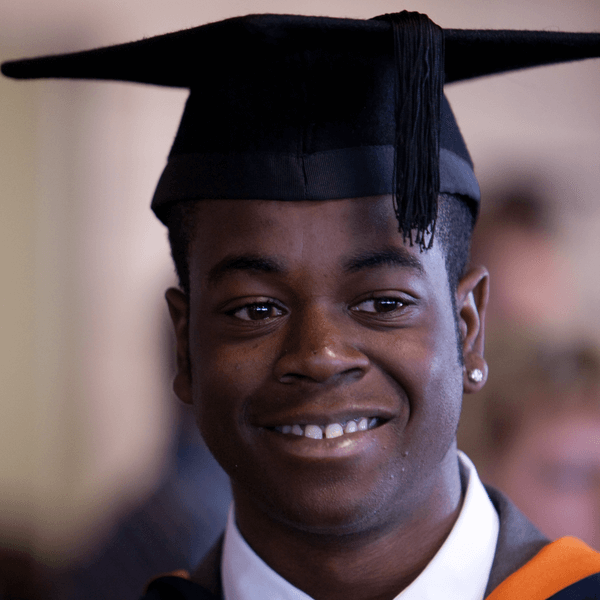 The University of Sunderland was an amazing stepping stone to help me kick-start my career. I was encouraged to go as far as I could when dreaming up seemingly unattainable ideas.